Nicola began her studies with a BA in Modern Languages at Cambridge University. The study of Contemporary European Literature led her to take an interest in Eastern Philosophy. After spending time travelling in Asia she experienced the benefits of Tibetan Herbal Medicine and became fascinated by the ability of the non English speaking Tibetan doctors to diagnose and prescribe based on pulse and tongue diagnosis. Keen to learn these techniques and with a long standing curiosity about different systems of Medicine, she decided to study Chinese Medicine. She trained for 4 years at the College of Integrated Chinese Medicine in Reading. The training at this college is fully recognized and accredited by The British Acupuncture Council. This combined studying Traditional Chinese Medicine with Five Element Theory. The basis of the training is a thorough grounding in the philosophy of Chinese Medicine with the art of Pulse and Tongue Diagnosis and what this reveals about the internal harmony of the body and mind. Nicola then continued with another year studying Chinese Herbal Patent Formulas to complement the Acupuncture Treatments. She completed Post Graduate Training with Meir Schneider in San Francisco expanding her understanding of the body through bodywork and self-healing exercises. She went on to complete various post graduate modules in scalp acupuncture with Dr.Zhu, specialist in Neurological disorders, with Amoz Ziv specialist in treating chronic and acute pain, and with Dr. Tan where she learnt the ‘Balance Method’ for fast effective pain relief. She has extensive experience treating Fertility, Pregnancy and also practices Obstetric Acupuncture for Childbirth. She has completed Post Graduate training in both female and male Fertility Acupuncture, IVF Support, Pregnancy Acupuncture and Acupuncture for Childbirth. Nicola’s main inspiration has been studying and undergoing further training whenever possible with Jeffrey Yuen, 88th generation Daoist Master of the Jade Purity Yellow Emperor Lao Zi School. To date she has been privileged to study in the following specialist areas with him: Post Traumatic Stress Disorder, Gynaecology including Fertility Acupuncture and Childbirth, Aromatherapy and Pulse Diagnosis. Having experienced restricted mobility from a Spinal Cord Injury due to a car accident Nicola became aware of how few Complementary Health Clinics offered easy disabled access and committed to setting one up. Her experience was that it was often people with restricted mobility who really benefited and needed Complementary Health Treatments. In January 2008 she set up the Haven Health Clinic with a view to find ways in which Complementary Therapists from different traditions could complement each other by working together. It’s one of the few fully accessible Complementary Health Clinics in South Devon. 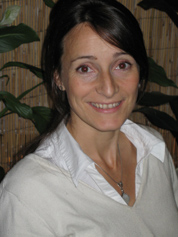 Nicola is a fully licensed Acupuncturist and adheres to a strict code of Safe Practice and Code of Professional Conduct.